Heeeeeeeere's Johnny! Watch at your own discretion, please. Things are going to get a little rough. The legendary invincible gangster Johnny Gat seemingly met his untimely end during the events of Saints Row: The Third, but do you really think an off screen murder would suit such a man of his stature? Absolutely not, which is why he's back in action in Saints Row IV, wearing his best birthday suit suit by the way. The sunglasses toting wild man inexplicably appears on board an alien vessel naked as the day he was born, but that doesn't stop him from turning a few of the invading monsters inside out. From there on out, the trailer shows what Johnny does best: drop one liners, hurt people, and look really cool doing it. Only he's not up against the typical thugs he's used to smacking around. These are alien invaders with technology far better than anything he's seen or witnessed before throughout his extended criminal career. That's okay, because Gat seems to have picked up more super powers besides his invulnerability. Flying uppercuts and what can only be described as an energy blast straight from Dragon Ball Z seem to have crawled into his fighting ability during his extended absence. Voice actor Daniel Dae Kim is also set to return despite his name not appearing in the official cast list released by Volition. Oh, this game is going to be so much fun. The series continues to expand more and more on the genius shtick it picked up in Saints Row II, and we are loving every second of it. 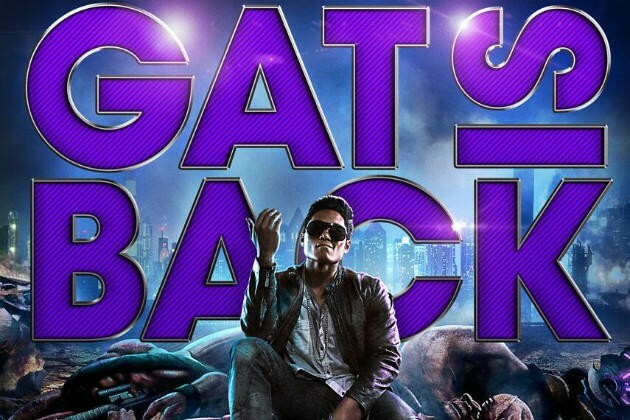 Saints Row IV launches on August 20th for the Xbox 360, PlayStation 3 and PC.